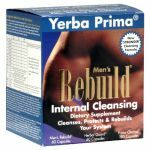 Designed specifically to help maintain the healthy function of the digestive system and cleanse the gut of waste material. SFP Herbal Liver Complex* Vegetable Capsules is one of Solgar's premium-quality herbal formulas. * Cruciferous vegetables such as broccoli have been associated with antioxidant and cellular protection. * BroccoMax���contains a standardized concentration of sulforaphane glucosinolate extracted (without solvents) �from broccoli seeds. Metabolites of sulforaphane �glucosinolate have been demonstrated to be a potent inducer of phase 2 detoxifying enzymes and protector of DNA.